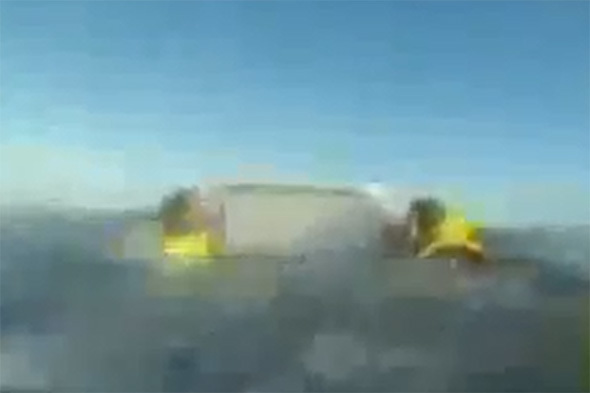 Two fishermen were rescued after clinging to an ice box for 15 hours when their boat sank off New South Wales, Australia. The men, aged 25 and 34, issued a mayday call on Friday afternoon and abandoned their cabin cruiser before being rescued on Saturday. ITV News reports that the search involved emergency services, the Royal Australian Air Force and locals. The pair were eventually spotted by a helicopter a short distance from their upturned boat, wearing life jackets and clinging to the large white cool box. One rescuer, Jethro Lampe, told Sky News: "They were pretty exhausted. "They've been out all night."